The Kona combines the ground clearance of an SUV, which provides drivers and front seat occupants to enjoy enhanced views. The turbocharged engine combined with Hyundai's dual-clutch transmission responds quicker than continuously-variable transmissions. In this way, shifting occurs seamlessly without interrupting power while allowing faster acceleration. The long wheelbase gives the vehicle a shorter overhang. The design provides heightened agility, better stability and a more comfortable ride, which are favored for urban driving. The strut suspension and unique underframe support provide extra comfort and less vibration. Being smaller means the Kona also weighs less, which adds to its ability to respond quickly. 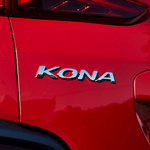 Test drive a new Kona at Fox Hyundai.